The holidays are once again upon us and that means plenty of opportunities to promote your hotel with compelling offers and promotions. If done right the holidays can be the gift that keeps on giving by increasing recipient engagement, strengthening relationships with guests and driving revenue over low demand periods. 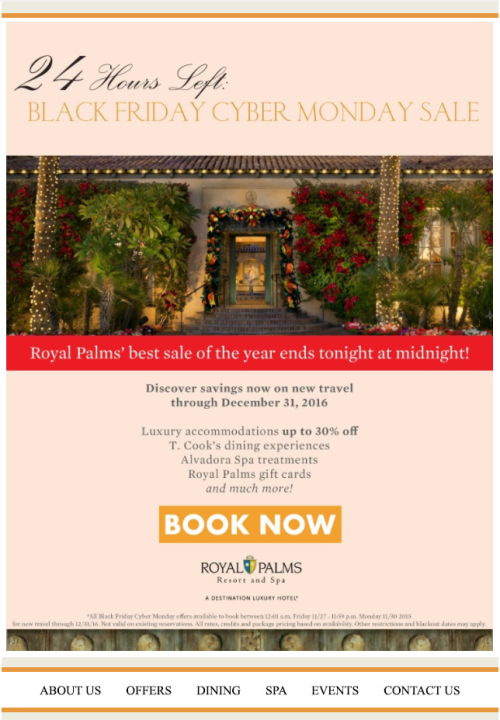 Once exclusive to the US market, Black Friday and Cyber Monday are now global phenomenons and the perfect excuse to email your database, no matter where your property is located. Shoppers are looking for value and are inundated with other offers on Black Friday and Cyber Monday so this is the time to be aggressive with the depth of your offer and the frequency of send. 1. Send email fearlessly to your database of past guests. Monday before Thanksgiving. Send an anticipation email, letting folks know that your Black Friday or Cyber Monday sale is coming. If you have time, have a landing page ready. Thanksgiving Day. Reveal your Black Friday or Cyber Monday offer and remind folks that the sale will start soon. Black Friday. Use strong calls to action to get sales immediately. Cyber Monday. Similar to your Black Friday ad, get sales right now. Tuesday after Cyber Monday. A sale extension offer can earn a few more hours or days of sales. Deals should help drive bookings during periods of low demand, or help build your base of business over higher demand periods so that you can later demand higher rates. 3. Leverage your social media and PPC channels. Use your social media and online advertising resources the week before Black Friday to help get the word out. Identify your top guests either by total stays, total nights or total spend and send a special offer just to them. 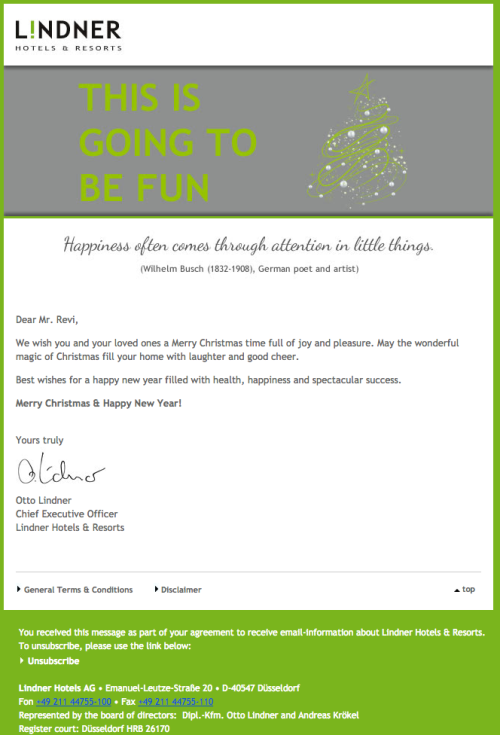 Personalize the message as much as possible so it feels exclusive to them. Make sure to exclude them from any conflicting mass campaigns. Unlike Black Friday and Cyber Monday, your Christmas message doesn’t have to be a big, aggressive sale. It can instead be an announcement highlighting the different events and/or activities you have planned throughout the season. It can also be a simple note wishing you seasons. The most successful email strategies will have both. 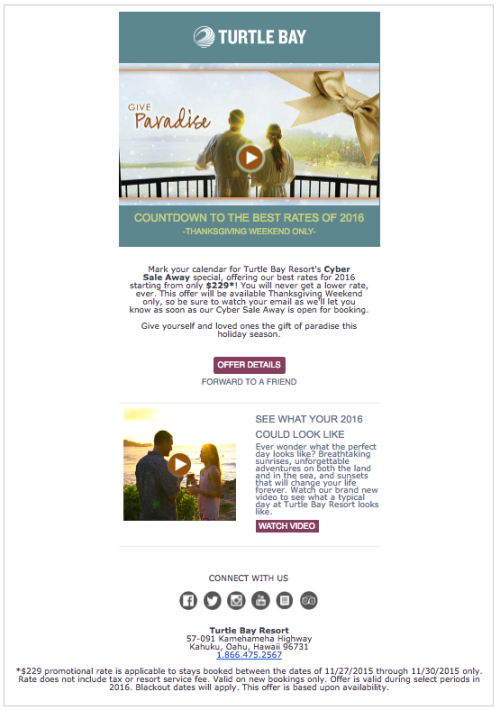 Email campaigns centering around a New Year’s Eve message can run the gamut. Perhaps you are hosting a New Year’s Eve party or are offering a special package for the evening. You’ll want to plan ahead and make sure you get the message out with plenty of notice. 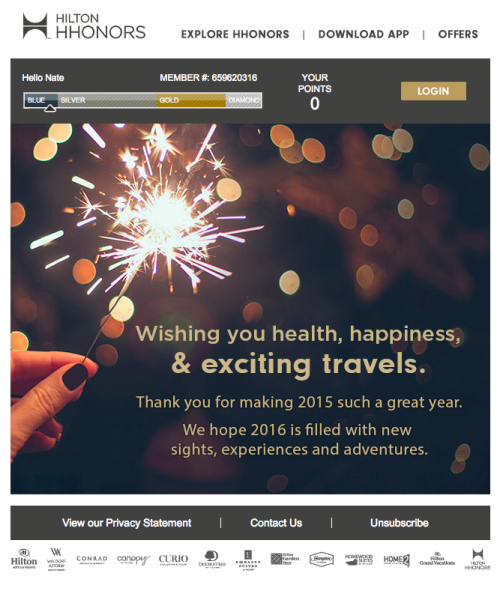 You may also wish to send guests a Happy New Year greeting instead of one for the holidays. 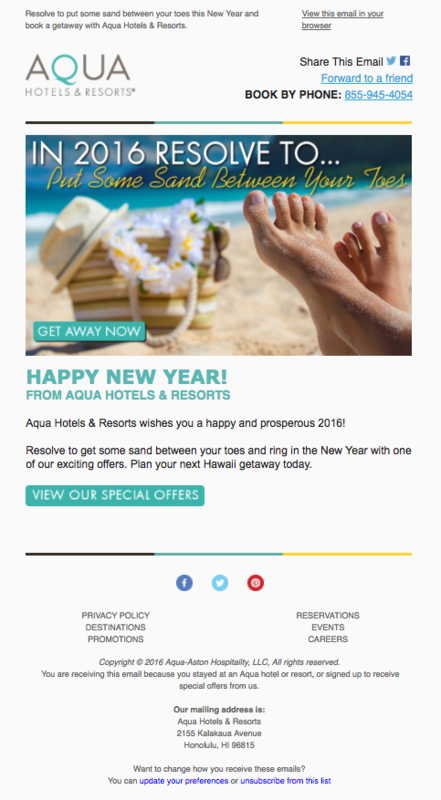 In the days following New Year’s Eve, it is recommended that you send a “post-holiday” offer. The first quarter tends to be a slower period for a majority of markets so this is a great time to try to drive additional business. 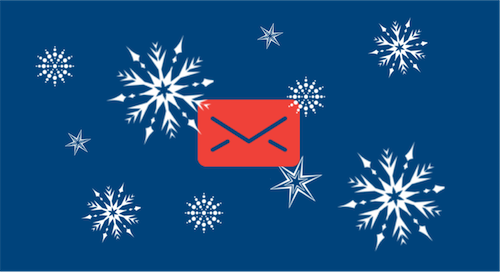 Follow these tips and your holiday email marketing plan will be guaranteed to help your hotel(s) prosper through the holiday season and beyond.